Bees make honey in order to have food even during the winter. Honey aficionados appreciate the fact that bees make honey. Well, why exactly do bees make honey? It probably should be no surprise that bees use honey for food, as we do. 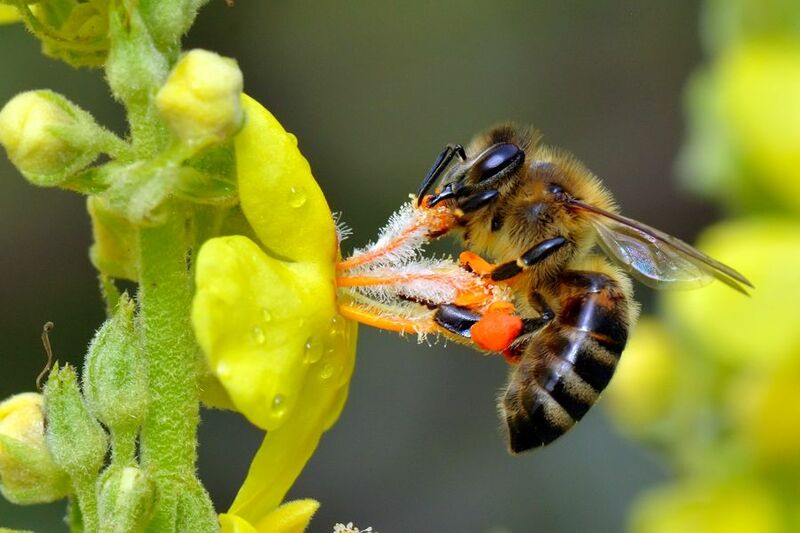 There’s more than a mere grain of truth in the saying “busy as a bee,” and these ambitious little insects need plenty of quality nutrition to fuel their active lifestyle. Honey gives the bees energy for flying and warming the hive in the winter. Three castes of honeybees comprise a colony. These are the queen, the drones and the workers. People seldom see any other caste than the workers because one of their duties is to gather the nectar. Workers are female bees whose bodies have not fully developed for reproduction. Making honey is primarily the task of the worker. She sips the nectar from plants and stores it in a special pouch inside her body. There a process known as inversion breaks down the sugar and nectar into two simple sugars. Once she deposits the nectar in the hive, most of the water evaporates, thickening the liquid. She also adds enzymes to the honey to give it a distinctive flavor. Workers also take on a number of other responsibilities, such as building, cleaning and protecting the hive. The young workers begin by feeding the larvae and cleaning the hive. Later in their lives, they tend to remain within and guard the colony. A worker can live between 4 and 9 months during the winter. In the summer, however, a worker’s life span is only about 6 weeks because she works so hard! Only one queen lives in each hive. Fertile her entire life, the queen’s body is fully developed for reproduction, her most important duty. She mates only once each with several drones and has the capability to lay 2,000 eggs a day! She lays each egg separately in a single cell in the wax honeycomb that the workers built. The queen has the anatomical capability to choose which eggs to fertilize. The fertilized eggs become workers, and the unfertilized eggs become drones. A queen’s life span can range from 3 to 5 years. When she dies, the other bees in the colony choose a young larva to become the new queen. 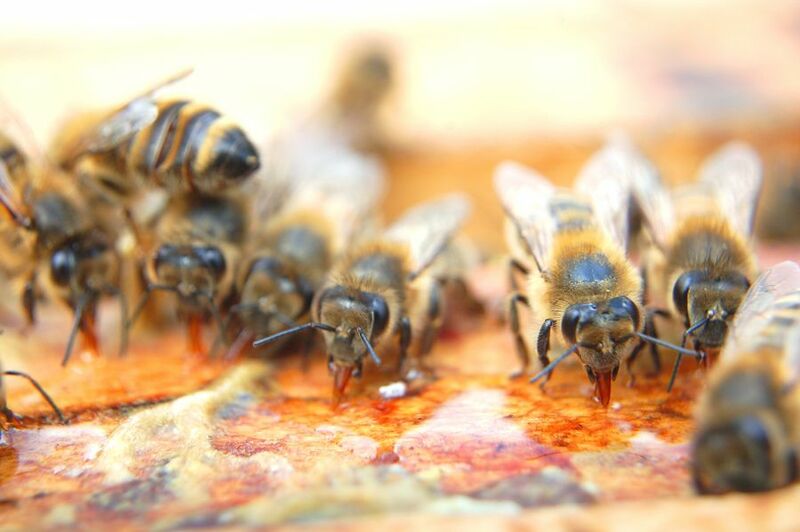 For 16 days, the bees feed the emerging queen a diet of “royal jelly,” a milky substance consisting of digested pollen and nectar or honey “spiked” with a chemical secreted by a nursing bee. 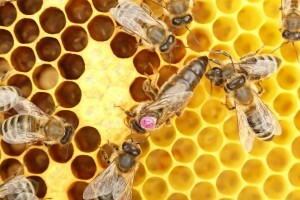 Rich in B vitamins, royal jelly commands a high price as a dietary supplement. A secondary duty of the queen is to regulate the other bees’ activities through her production of pheromones. 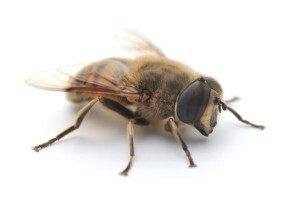 All male bees become drones. Their sole purpose is to mate with the queen, whom they locate using their large eyes. Only 300 to 3000 drones inhabit a hive during the summer mating season. Drones are cast out of the hive in the fall because they no longer serve a purpose once the mating season has ended. During the winter, the remaining bees live on the stored pollen and honey, as do the larvae. 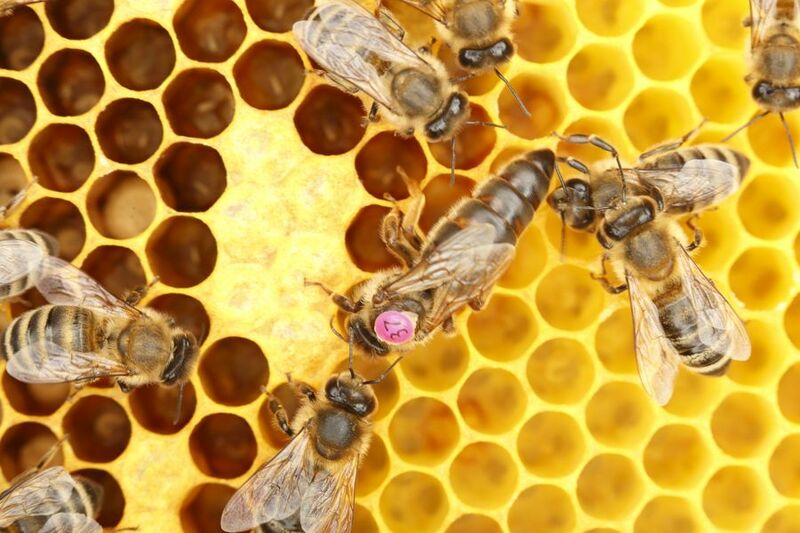 To keep warm, the bees survive winter by clustering closely around the queen in the hive. No matter how cold the outside temperature, the cluster regulates and maintains its center at 93 degrees Fahrenheit! RU: Почему пчелы делают мед?